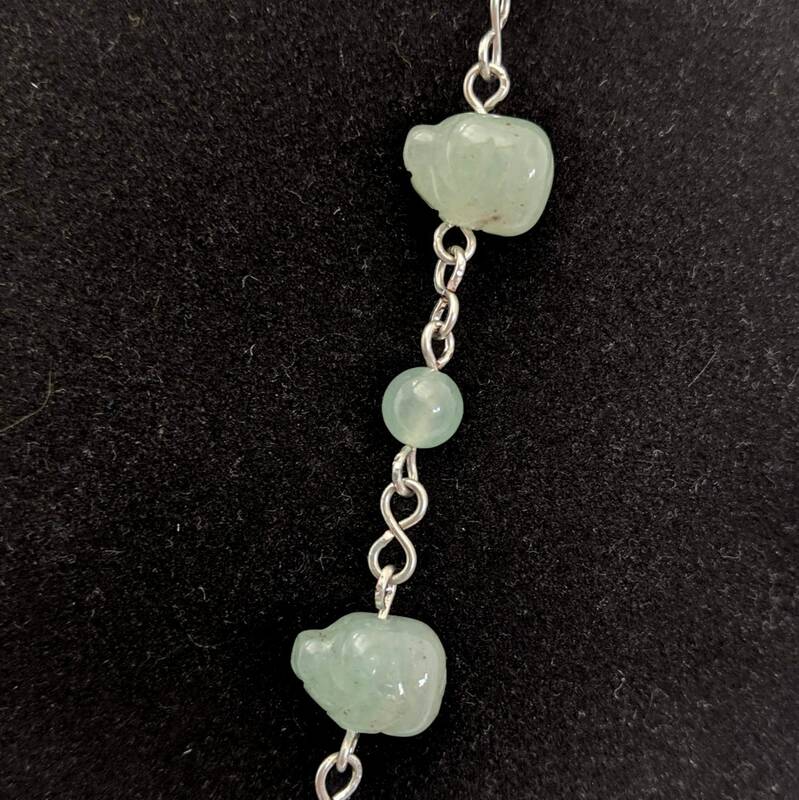 Celebrate the Year of the Pig! 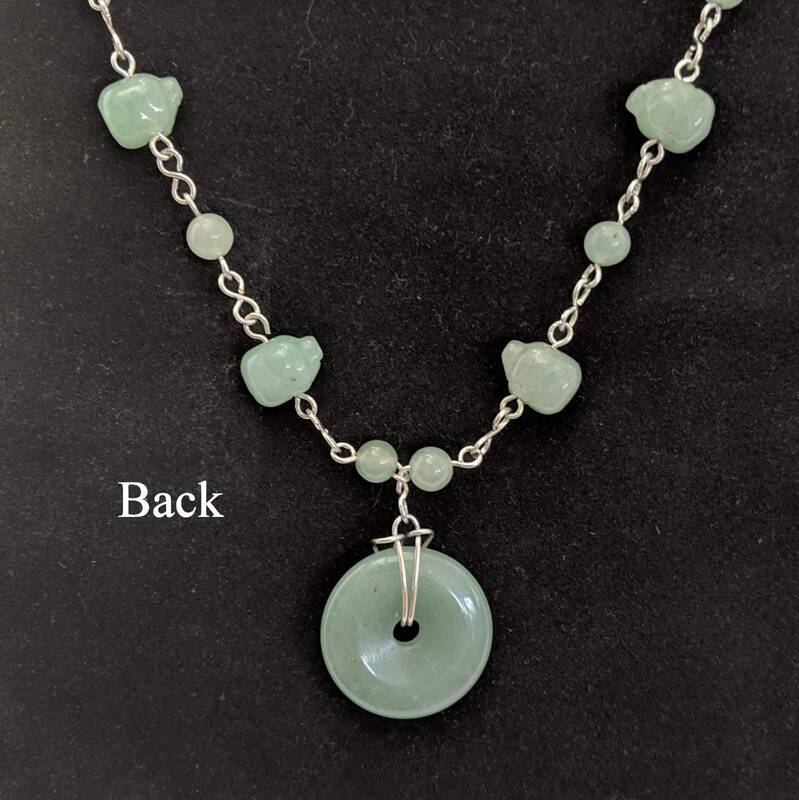 This necklace is a unique design from our jewelry studio. 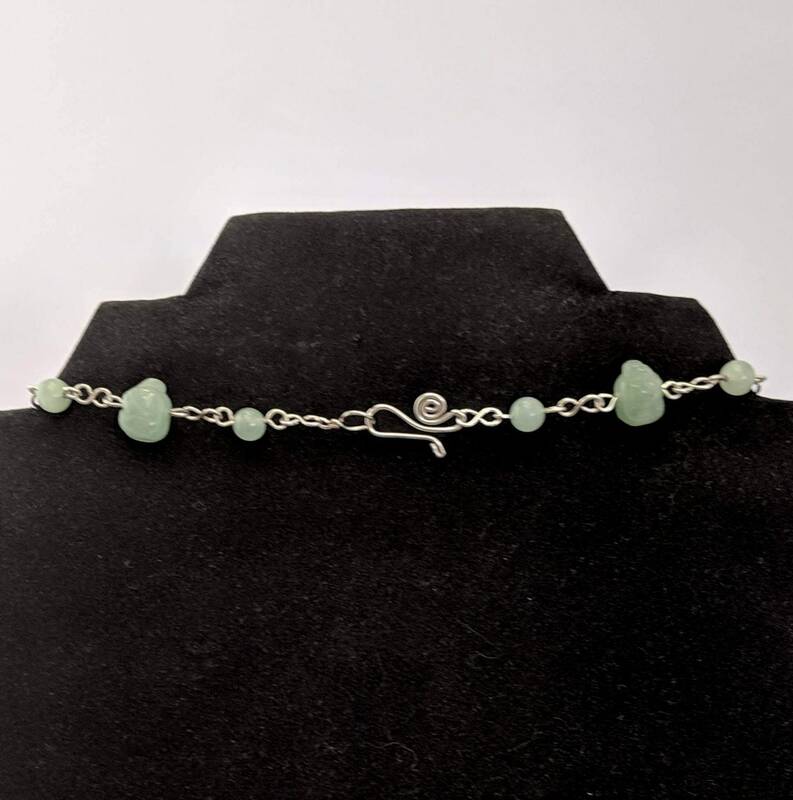 It is made with aventurine carved pig beads, round beads and silver plated jewelry wire. 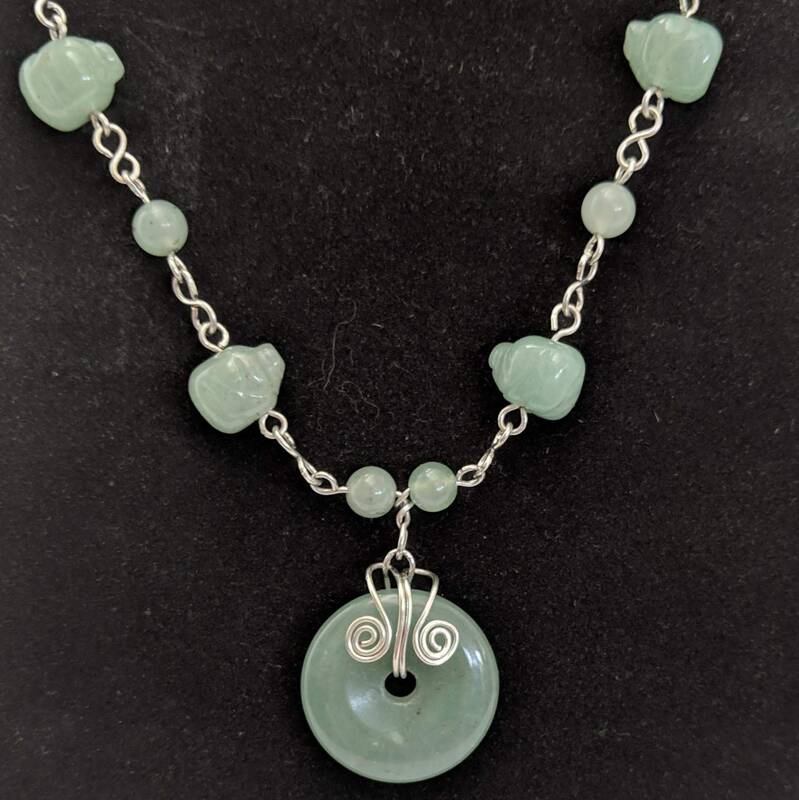 A aventurine donut is the focal piece with two sacred spirals forming the bail. 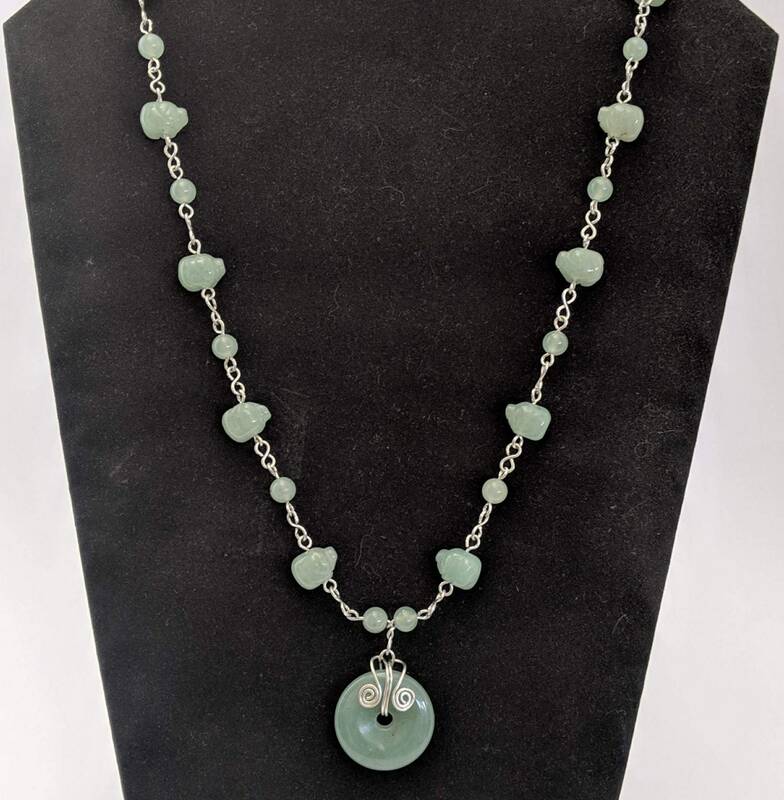 The handmade chain is made up of matching pig beads, round beads and and figure 8 links. 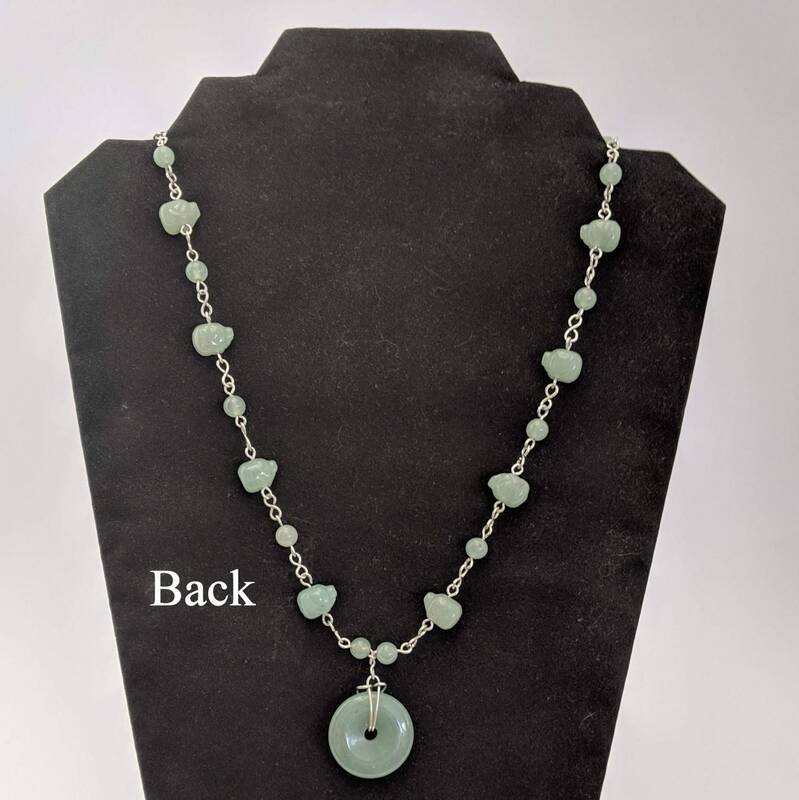 The necklace's closure is a matching spiral hook and eye.